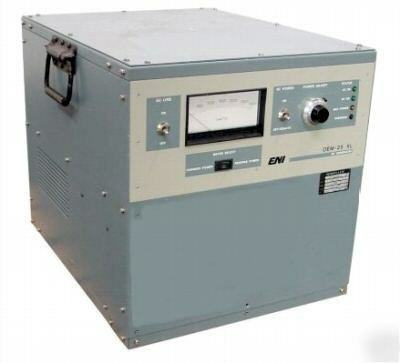 ENI RF Generator, 13.56 Mhz, Part Number OEM-25N-XL. This unit is totally reconditioned and comes with a 90 day warranty. Please call or email us at to inquire how you can purchase this unit at a reduced price in exchange for your defective (all parts intact) core RF Unit. Thanks!